JH: As we start my novel-planning workshop to get ready for NaNo, it seems fitting that the first guest author share her tips on having a productive and successful NaNo. Please help me welcome Maggie Wells to the lecture hall today for a little inspiration and motivation. It’s the most marvelous time of year – NaNoWriMo is coming! I know some writers eye NaNo with skepticism. Some refuse to even attempt it, and who can blame them? It is a bit insane. But I am a deadline-oriented writer who believes a bad page is better than a blank page, so the challenge works for me. I’ve completed it each November since my first attempt in 2009, and I’m proud to say that all eight of those projects were eventually contracted by publishers. I also participated in every one of those NaNos while working a full-time day job. And living regular life. During a month that contains two birthdays and a major holiday. I’m not telling you all this to brag, but to establish a little cred, since many of you don’t have any idea who I am or why Janice is letting me post here. If you are a NaNo newbie, one who has tried and given up in the past, or even a veteran who isn’t quite feeling it yet, I have a few tidbits that might help you realize those dreams of victory this year. 1. Know your goal and how you plan to get there. Yeah, we all know it takes 1,666 words per day to get to 50k in 30 days, but there’s no rule that says you MUST write 1,666 words per day every day. On the days when the words are flowing, let them run. Bank those words, because there will be the other kind of days…On those days, try for a minimum—say 500—then work the numbers from there. Something each day is better than nothing, but don’t let the numbers stymie you. 2. Use this month to warm up. Consider October your ‘couch-to-5k’ type training for November. Start exploring various writing practices—journaling, sprints, group writing, morning pages, etc. A writing practice is a tool that helps you turn on the creative faucet. Don’t sit down on November 1st and expect 50k to come gushing forth from your fingertips. On the flip side of that, be sure you milk that first week euphoria for all it’s worth. You may need it to carry you through the middle of the month. 3. Use technology to your advantage. I’m currently learning to use dictation software. I spend my 13-minute commute each morning talking into a voice recorder. In that time, I can usually sputter out about 600-700 words of my next scene. It’s bare bones, but I have something to work with when I get home. That evening, I have my Dragon software transcribe it, and I clean those words up and use them as my jumping off point. I’ve found this to be a fantastic way to start clocking 1000-word-plus days on a regular basis. 4. Then, there are all the various ways we trick ourselves into taking bites out of a work in progress. Word counts, scene sketching, leaving leftovers in the next scene…these are some of my favorites. 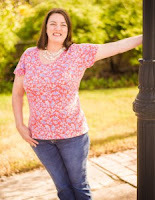 Author Karen Booth wrote a great post on a kinder, gentler approach to word counts. Scene sketching is just like it sounds. Bullet point that scene and try to hit all three or four of those points in your session. As for the leftovers, they can be a tempting way to spur yourself to go on. Never stop when you finish a scene or chapter. Try to start the next part so you can hit the ground running. 5. And the biggest challenge—time management. We have laundry piles, oil changes, football, and flu. There are babies to squeeze and dogs to walk. And naps. We need naps. But it’s okay to dedicate one month out of the year to your writing. Really, it is. Give yourself permission to say no to some of those other things. You’ll often find that those obligations aren’t as pressing/vital as they seem. Ask for help from friends and family. Let people know you are on a quest. Most will support you however they can. But it has to start with you. Carve out your writing time, then guard it fiercely. November is our time. Thirty days and nights of literary abandon. Let your stories run wild and free! Colm Cleary lost his wife just moments after his son Aiden’s birth, and it’s been just the two of them ever since. Dating is his very last priority—until he spots gorgeous Monica Rayburn on the playground with her little girl. Suddenly finding a woman sympathetic to the demands of single parenthood seems like a great idea—especially if they agree to a no-pressure, no-strings date . . .
Dazzled by the hot “Saturdaddy” who asks her out, Monica doesn’t get around to mentioning that little Emma is her niece. She’s in commodities, not children. A gambler to the bone, she’s going to take a chance on an adult evening with Colm—and worry about the details later. But when their casual connection deepens into something more solid, the truth will have to come out—and both Colm and Monica will have to throw caution to the wind to hold on to a future together . . .
You can do it! Come join the madness! I haven't done it in several years but I am in it for November..thank you for the advice. Yay! I just set up my novel last night. Glad you're taking the plunge again! As a four-time NaNoWriMo winner after a plague of failed attempts, I know how to win this craziest of writing contests. It's not an outline (though it helps), increased caffeine intake (though it'll probably happen), or willpower. It's believing in your story. It's pushing past the bad days - those days you wonder why on earth you thought this would be a good story, and who the heck told you you could make it as a writer. It's staying up late when you didn't pin down time to write earlier because you know this story needs to be told. My advice to anyone trying NaNo for the first or fiftieth time? Believe in your story like you would your child. Cheer it on. When it falls on its face, pick it up, dust it off, and tell it you're proud of it for trying. Thanks for a great post! Great advice. I've never really planned ahead or done much Nano prep work which is probably why I either don't finish or it takes me over a year to revise the mess I want to call a "novel" that I've flung together in November. I used to think prep work was cheating, but I'm learning more each day and clearly it's not. I think I'll try again this year, going into the month with at least an outline, knowing my characters and pivotal scenes. I'm re-reading Lisa Cron's Story Genius and doing the writing exercises and for the first time ever, I truly know my characters. I mean I know them, not just on a superficial level, but I know what happened in their past to cause them to believe certain things etc. Her book is amazing . FYI- I'm not an affiliate promoter of her book. I do not make any money if you buy her book. I just wanted to share that her book helped change the way I planned for this year's NaNo and it's an impressive, unveiling book. I'm beginning this Nano, Nov. 1st armed with all the templates and information your website so graciously offers (free of charge), my writing exercises from Lisa Cron, a ton of worksheets from Jami Gold's website and my outline which is a combo of all the great gurus out there but mainly I'm following K.M Weinland's outline with a side of Larry Brooks story Structure, Cathy Yardly's Rock your plot, Becca and Angela over at https://onestopforwriters.com and MJ Bush for more on Character arc http://www.writingeekery.com, toss it all in for a combo deluxe. This year I'm ready. Thanks to all of you.